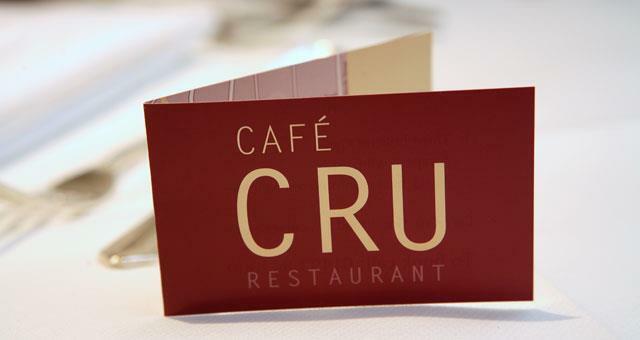 Cafe Cru01493 842000work Restaurant - EnglishOnly the finest locally sourced ingredients are used at Cafe Cru in Great Yarmouth, where our AA rosette restaurant has introduced new dishes and changed the décor. But the one thing my team and I haven't altered is our commitment to quality food. We continue to use the finest ingredients, carefully prepared and simply presented. If you had to put a name to our style it's modern British. And our philosophy is simple: don't fuss with the food, let the quality shine through. 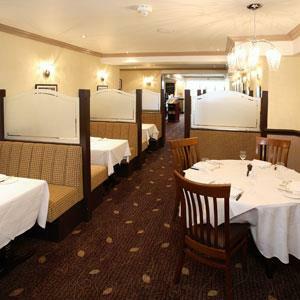 It's the same quality you'll find in Nick's carefully-chosen and often-praised wine list. If you want to try something different with dinner he will be happy to recommend a bottle. Only the finest locally sourced ingredients are used at Cafe Cru in Great Yarmouth, where our AA rosette restaurant has introduced new dishes and changed the décor. But the one thing my team and I haven't altered is our commitment to quality food. We continue to use the finest ingredients, carefully prepared and simply presented. If you had to put a name to our style it's modern British. And our philosophy is simple: don't fuss with the food, let the quality shine through. It's the same quality you'll find in Nick's carefully-chosen and often-praised wine list. If you want to try something different with dinner he will be happy to recommend a bottle. Please check opening over festive season before visiting.